Whenever real passion is combined with professionalism, perfection is not far away. The multiplicity of committed people can lead to incredible results. KTM is probably the best example to show what is possible, if people share the same vision. 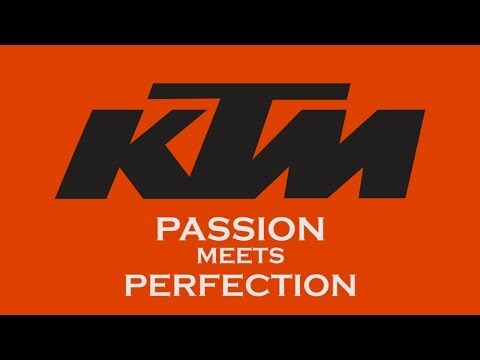 June 6th was the official factory opening of KTM Asia Motorcycle Manufacturing, Inc., a partnership between the Austrian KTM group and the Philippine Ayala Corporation, in Laguna, Philippines. Beside the attraction of high-end quality motorcycles, attendees could feel that every single member, involved in the KTM Philippines family, believes in the same values and is “Ready to Race”. With the opening of the first KTM plant in the Philippines, the Austrian motorcycle manufacturer made an important strategic decision, as it is planned to serve major parts of Asia out of the Philippines. So far 500 motorbikes have already rolled off the KTM plant and that is just the starting point. Europe’s number one motorcycle manufacturer wants to build up to 60.000 bikes a year in the Philippines! But not just for export the Philippines is considered to be an important country, also the domestic market is supposed to be high growth market for premium motorcycles. It’s good to see, how the KTM's success story made its way from Austria to the Philippines, all with the help of Advantage Austria Manila.